The three important ingredients for great automotive design are Proportion, Sculpture and Graphics. 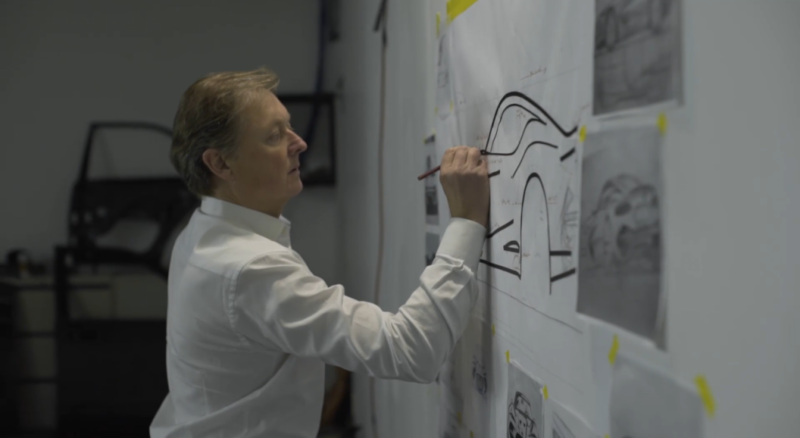 Henrik Fisker has developed a signature VLF design language that carefully balances these 3 key elements and their interlay with each other, depending on the platform. This signature Henrik Fisker design formula gives the vehicle its individual design identity and creates the visual VLF brand DNA, which is sleek, powerful and timeless design. Proportion: “I like to work with long hoods and pushed out wheels. The overhangs must fit perfectly in relation to the wheelbase and the overall size of the car and so must the size of the green house. The dash to axel are extremely important, it’s the space between the front wheel axle and the start of the windscreen”. All VLF cars start with great proportions. Sculpture: “Extreme sculpture is important in the right places, and all VLF Automotive vehicles will have extreme sculpture, although very lean, around the wheel arches, to give our cars a strong performance look. There is a deep sculpture surrounding the engine on the bonnet, and carefully sculptured surfaces around the front and rear details”. Graphics: “VLF vehicles graphics will be uniquely sleek, with ultra thing lights both front and rear tail. The DLO ” the daylight opening”, or side window, will have a distinct VLF graphic, that still may vary from each VLF vehicle, to make them uniquely recognizable within the VLF family”.